Dozens of troops waited in alleyways before dawn preparing to make a move toward the protesters. The government had warned the Red Shirts on Monday to get out by 3 p.m. local time. On Monday the crackdown never surfaced. Then a glimmer of hope: The streets were relatively quiet as talk of negotiations surfaced on Tuesday, giving weary Bangkok residents a bit of hope this would be resolved soon and peacefully. 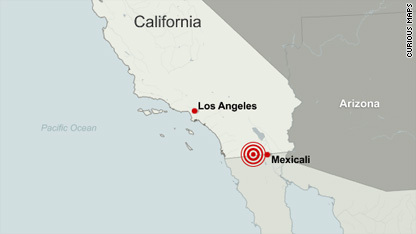 A 5.1-magnitude earthquake struck Southern California on Tuesday evening, according to the U.S. Geological Survey. There were no immediate reports of damage or injuries. a depth of 6.3 miles. "This earthquake is within the aftershock zone of a magnitude 7.2 (earthquake) that occurred on April 4" near Mexicali, said Susan Potter of the USGS. "This is an area that was exposed to many large earthquakes in the past." At least two people were killed and 100 injured in the April 4 quake. Several hundred military troops began massing in central Bangkok early Wednesday - the largest movement of forces since clashes broke out last Thursday between opposition protesters and government security officials. Many of the maps that the federal government depends on to determine which coastal resources are at risk in the event of a nearby oil spill are outdated, the administrator of the National Oceanic and Atmospheric Administration said Tuesday. The Dow Jones industrial average lost 115 points, or 1.1 percent, according to early tallies. The S&P 500 index lost 16 points, or 1.4 percent. The Nasdaq composite lost 37 points, or 1.6 percent. Stocks had managed some early gains as investors focused on Home Depot and Wal-Mart Stores' earnings and an improved report on home construction. The stock sell-off picked up steam in the afternoon as the euro flirted with and then fell below a four-year low hit on Monday. declined, dragging down the KBW Bank index by 3.7 percent. Oil prices slipped to a new seven-month low Tuesday as the dollar neared a new four-year high against the euro. Crude for June delivery slipped 67 cents, or about 1 percent, settling at $69.41 a barrel Tuesday. The last time crude fell below that price was September 29, when it settled at $66.71. A weakening euro and stronger dollar dampens demand for oil because it makes the commodity, which is priced in the U.S. currency, more expensive for foreign investors. Reports that Germany will ban so-called "naked" short-selling tomorrow spooked currency investors and drove the euro down, analysts said. Abduwali Abdukhadir Muse pleaded guilty Tuesday to six felony counts related to the hijacking of the Maersk Alabama in the Indian Ocean last year. He will be sentenced in October. Laura Silsby, the American missionary accused of trying to take nearly three dozen children out of Haiti after the devastating January 12 earthquake, returned home to Boise, Idaho, on Tuesday afternoon after being held for nearly four months in a Haitian jail. Times Square bombing suspect Faisal Shahzad is scheduled to make a court appearance Tuesday afternoon in New York, federal prosecutors announced. Connecticut Attorney General Richard Blumenthal acknowledged Tuesday that he has not always accurately described his military service during the Vietnam War - a decades-old biographical question that is suddenly threatening to derail his frontrunner's campaign for the U.S. Senate. 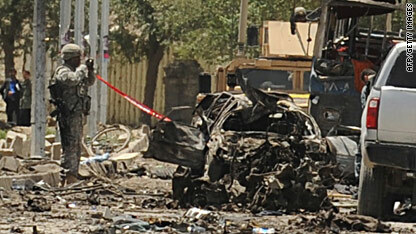 The minivan – with an estimated 1,500 pounds of explosives – was driven into a U.S military convoy on a busy thoroughfare called Dar-ul-aman Road, and close to a U.S. military base, Camp Julien. 18 people were killed. The Taliban had warned about such attacks in a communiqué issued earlier this month announcing its spring offensive. “The Al-Faath operations will target the invading Americans, NATO military personnel, foreign advisers, spies who pose as foreign diplomats, members of the Karzai stooge administration … ” and many others. After the last such attack in Kabul three months ago, in which 14 people were killed in an attack on a hotel and shopping center, there were promises that security in the capital would be improved. And for a while there were no major incidents. But this attack will revive anxiety about the ability of Afghan security forces to make the capital - and important military and government installations - safe. The British conservation group Born Free has joined the outcry against a plan by Zimbabwe to ship a “Noah’s Ark” of wildlife, including two young elephants, to North Korea. 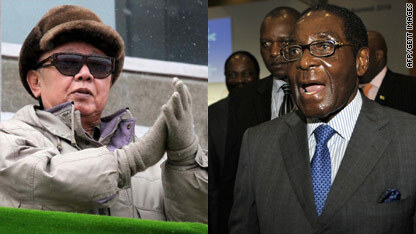 News reports last week said the animals, reportedly two of every species in Zimbabwe’s 14,600 square kilometer Hwange National Park, are to be a gift from Zimbawean President Robert Mugabe to his North Korean counterpart, Kim Jong Il. “We can see no conservation benefit to these plans, and are concerned about the substantial threat to the welfare of the individual animals involved,” Born Free said in a statement on its website. The group said the 18-month-old elephants are unlikely to fare well during the approximate 7,000 mile trip and afterward when they get to North Korea. Huang Guangyu, who was once named China's richest man, is now going to prison. 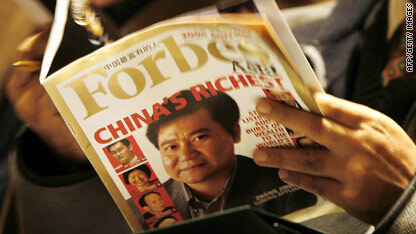 Huang Guangyu, once China's richest man, was sentenced Tuesday to 14 years in prison, state media reported. 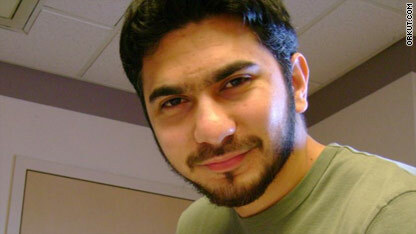 Faisal Shahzad is accused of attempting to bomb Times Square in New York. The man accused of attempting to blow up a car bomb in Times Square also considered New York's Rockefeller Center, Grand Central Terminal, the World Financial Center and Connecticut helicopter manufacturer Sikorsky as other potential targets, a senior counterterrorism official with oversight of the investigation said Tuesday. Faisal Shahzad had gone so far as to do surveillance of some of the additional targets, the official told CNN. Shahzad, a Pakistani-born naturalized U.S. citizen, is accused of attempting to set off a car bomb in Times Square on May 1. E-mails obtained by CNN indicate he was looking for a way to strike back against "foreign infidel forces" he believed were oppressing the Muslim world. "We were reminded again this morning of the great sacrifice that our troops and their families are making and our thoughts and prayers are with the loved ones of those we lost. While our troops are fighting for a better future for the Afghan people, the Taliban offers only destruction and they have so little respect for humanity that they would murder afghan civilians waiting for a bus. The United States and Afghan government remain steadfast in our determination to build security, stability and opportunity for Afghanistan. We are confident that the legacy of our troops’ extraordinary sacrifice will be an America that is stronger and more secure." [Updated at 8:17 a.m.] Five of the people killed in a suicide car bombing in Afghanistan's capital Tuesday were U.S. service members, a U.S. defense official confirmed. [Posted at 7:11 a.m.] Women, children and six troops were among 18 people killed in a suicide car bomb that exploded near a registration center for Afghan Army recruits Tuesday morning, officials said. Three members of coal producer Massey Energy's board of directors have narrowly survived attempts to oust them after the deadliest mine disaster in 25 years, opponents said Tuesday. 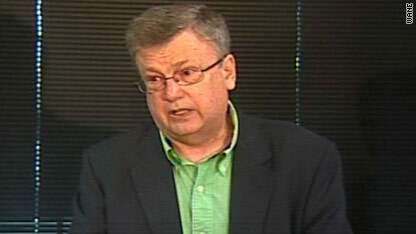 Indiana Rep. Mark Souder is expected to resign Tuesday. [Updated at 12:12 p.m.] Rep. Mark Souder, R-Indiana, abruptly announced his resignation Tuesday, after acknowledging that he "sinned against God" by engaging in a relationship with a member of his staff. The federal government has shut down fishing in more of the Gulf of Mexico as a result of the massive oil spill there. Sports Update: Can Halak rebound against Flyers? Jaroslav Halak is hoping he can hit his stride again and defend the net better tonight against the Flyers. Jaroslav Halak was the hottest goaltender in the Stanley Cup playoffs (emphasis on “was”), until the Flyers chased the Canadiens star after allowing four goals in the first 13 shots he faced in Game 1. Can Halak and Co. rebound after being shellacked 6-0 to open the Eastern Conference finals or will streaking Philadelphia continue its Cinderella run as the two meet Tuesday at the Wachovia Center (7 p.m., Versus)? Habs-Flyers is just one of the day’s main attractions as the NHL’s West finals, NBA playoffs, baseball, soccer and tennis are all in action. What else garners “can’t-miss” status? Here are a few other highlights, all times Eastern. An attorney representing the family of a 7-year-old Detroit, Michigan, girl killed in a police raid filed lawsuits in state and federal courts Tuesday, accusing the police of a cover-up. [Updated at 11:06 a.m.] Tar balls found on a Florida Keys beach Monday, while not believed to be from a massive Gulf of Mexico spill, are nevertheless raising fears that oil will spread along the coastlines of Florida and beyond. Researchers said it's unlikely - although not impossible - that the oil could have spread from the spill, off the coast of Louisiana, to the Keys so quickly. But they seem to agree that a plume of oil is in the process of getting dragged into the Loop Current. The current flows through Yucatan Channel between Cuba and Mexico, then northward, where it loops southeast just south of the Florida Keys and travels to the west side of the western Bahamas, according to meteorologist Jeff Masters. [Posted at 9:57 a.m.] The Coast Guard and the National Oceanic and Atmospheric Administration will conduct shoreline surveys in Key West, Florida, Tuesday after tar balls were found on a beach there, officials said.